The Mayans discovered it and the rest of the world perfected it. From its first discovery 2,000 years ago the Riviera Maya was found to be one of the most sacred stretches of land in Mexico resulting in important Mayan archaeological sites, ancient ruins, and legends. 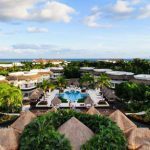 From the beautiful and stunning beaches to the rich Mayan heritage and gastronomical delights there has never been a better time to visit Cancun and beat the dreary Northeast Winter blues. Though 2012 marked the end of the year of the Mayan calendar, the world still went on as it always did, and a day trip to the ruins is a truly breathtaking and magical experience only found in this area. The most famous site is Tulum which is home to pre-Columbian Mayan ruins and boasts a scenic location overlooking the glorious turquoise waters of the Caribbean Sea. With well-preserved structures such as the Castle and Temple of Frescoes the knowledge and ideology of the scholars is bestowed to future generations through interpretations of their symbols and mythology. Set in the middle of a rainforest, Coba dates back to the classical period. Home to the highest temple on the Yucatan Peninsula, you can walk or ride on the same Mayan roads traveled 1000 years ago or climb the steep incline of the temple Nonoch-Mul. The Mayan culture can also be explored by water. Historically, the Mayan people believed the cenotes, which are naturally occurring sinkholes, were portals to the underworld and a way to communicate with the gods. True to legend, the cenotes, today provide access to the vast underground rivers of Riviera Maya for the adrenaline fueled cave-diving adventurers. 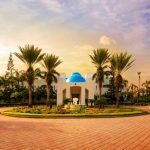 Whether you are looking for a family vacation, romantic couples trip, girlfriend getaway or a refuel on Vitamin D deficiency, there is something for everyone in Cancun. 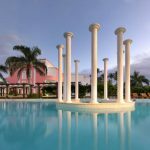 The adult only 5 star Iberostar Grand Hotel Paraiso is well suited for adults looking for a quiet all inclusive getaway to relax and rejuvenate. 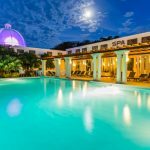 Choose from plenty of amenities onsite and also in the neighboring family oriented hotels in the Iberostar Playa Paraiso Resort which is spread over thousands of acres of lush landscaped grounds and also includes an adjacent world class golf course. Built in a neo Renaissance style, the Grand is the highest level of service with 120 luxuriously appointed oceanfront rooms with private terraces, 180 garden and sea facing suites, and 10 private secluded villas. 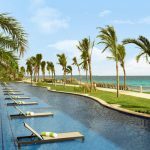 Amenities include three expansive pools one of which uses sea water, a quiet pool, and a panoramic pool overlooking the gorgeous stretch of white sand beach. 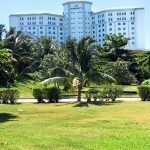 One will never go hungry here with 24 hour room service and dining options that range from their gourmet restaurant to a casual beachside café and buffet grill to international a la carte restaurants serving Italian and Japanese specialties. Known for their gastronomical cuisine, Iberostar just launched La Cocina Iberostar which features 42 traditional and modern recipes ranging in difficulty from 14 executive chefs from around the world including Greece, Tunisia, Jamaica, and Brazil that demonstrate the high level of culinary talent displayed at the Iberostar properties. For entertainment options, nightly live musical revues keep the night going as well as a space age themed disco open to all ages. 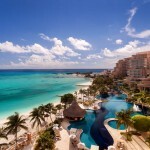 Cancun has long been regarded as a non stop party destination with Spring Breakers taking that lead. If you’re looking for fun in the sun and activities for the little ones, look no further than the Hard Rock Hotel. Perfect for couples as well as families, there are plenty of activities in the Little big Club to keep the little rock stars entertained, while teens have their own private ‘no parents allowed’ Cavern club with their own DJ, games and entertainment. 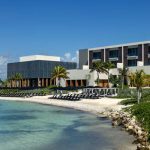 Home to the largest concert venue in Cancun, international Grammy award performers and world class DJs play weekly onsite and frequently stay at this celeb magnet resort. Indulge in the life of excess and never stray far from the action. 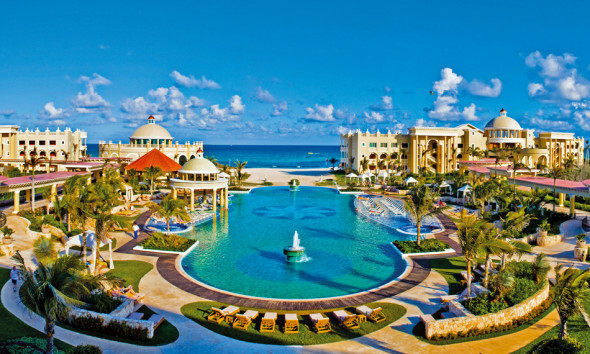 Included with the all inclusive package are resort credits that can be used for golf, spa, shopping, and excursions.